Our Shade Screen Mesh tarps are used to provide shade, as well as, allow some sunlight to penetrate through. Our mesh tarps provide 73% shade and 27% filtered sunlight. 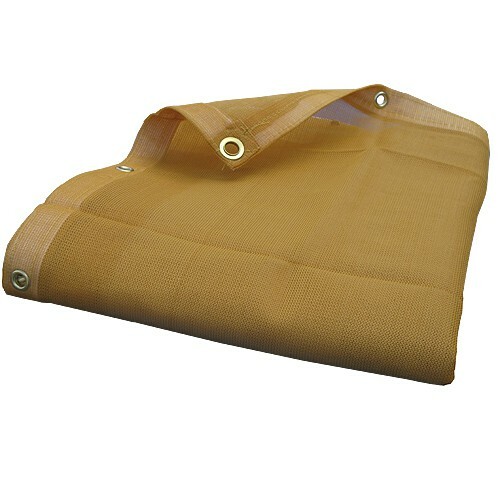 Each tarp comes with heavy-duty rust resistant grommets every 18 inches. Common uses for mesh tarps are nurseries, gardens, coy ponds, construction, backyards and patios, and landscaping. Shade tarps can also be used for privacy, commonly seen on fences.